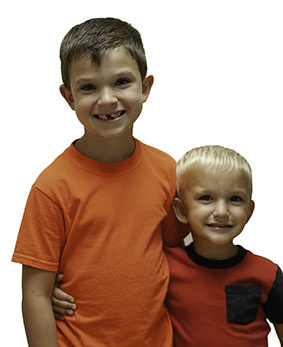 Thanks to speech therapy at Riverwood, Logan and Sam Hanson are on the road to better communication. Fluid build-up from chronic ear infections caused temporary hearing loss at a critical time when they were learning to talk. Sam required ear tubes as well and was not hearing clearly as a toddler. At age 3, he began weekly speech therapy sessions in May 2018. Amanda enjoys working with pediatric patients to help them communicate more effectively.